This is a bit of a complicated issue. The optical PS/2-connected mouse on the laptop doesn't work. ** The optical mouse in question is that small black rectangle on the right side of the screen below the windows sticker. The left/right mouse buttons are on the other side of the screen. [root@lapfox shapeshifter]# dmesg | grep -ie "error" -e "serio" -e "mouse" -e "kbd" -e "aux"   | grep -v "bad data from KBC"
2) The optical mouse doesn't work, and there are NO errors in dmesg. Trying to cat any of the input devices and using the mouse yields no character output. It's completely dead like this. [root@lapfox shapeshifter]# dmesg | grep -ie "error" -e "serio" -e "mouse" -e "kbd" -e "aux"
[  113.193493] atkbd serio0: Unknown key pressed (translated set 2, code 0xd9 on isa0060/serio0). [  113.193511] atkbd serio0: Use 'setkeycodes e059 <keycode>' to make it known. [  113.203740] atkbd serio0: Unknown key released (translated set 2, code 0xd9 on isa0060/serio0). [  113.203758] atkbd serio0: Use 'setkeycodes e059 <keycode>' to make it known. In any case I'm not sure if this is telling you anything. * Kernel options like pci=noacpi or acpi=off had no effect. * I don't know what's going on with the ioremap error but I think it's due to the GMA500/Poulsbo chip and hence unrelated. * Using the other, 'newer' eGTouch Daemon driver is impossible, it only supports USB, not PS/2. * No combination of configurations, reloading psmouse or anything else yields a useful result. I'm not sure if the optical mouse would ever work when using the eGalax driver (which is needed for a absolute touch screen device) but I wouldn't even care too much. I'd just really like to have that 'simple' optical PS/2 mouse working. If I can provide any more specific information, I'd be more than happy to supply it. I have the same problem as Tim Bauer but with a different PC. 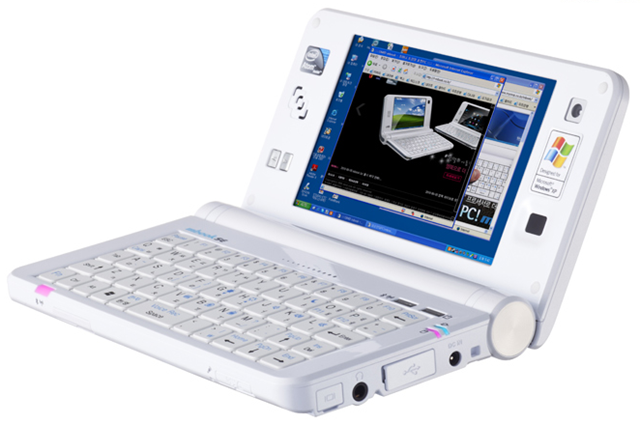 Also as Tim Bauer, it has a resistive touch screen (eGalax touch screen by eeti manufacturer)connected to the PS / 2 port. Again as Tim Bauer, it has a optical PS /2 mouse. I have contacted EETI developers (http://home.eeti.com.tw/web20/eg/Touch_Division.html). I tried they make public the source code of their drivers for windows, but they refuse. They tell me "There's Some know-how in source code, so we can not release it to client." The biggest problem is I'm trying to put on this computer Android for x86 processors (www.android-x86.org). As you know, Android is like Linux but do not use the X Windows graphics engine (use the framebuffer). - A new one that does not use X-windows (not supported devices PS / 2). I can help as needed. Hmm, there is a kernel driver for eGalax PS/2 touchscreen, do you have CONFIG_MOUSE_PS2_TOUCHKIT enabled? Yes, Yes, I have tried in the past compiling the kernel with CONFIG_MOUSE_PS2_TOUCHKIT enabled. But does not work. The driver touchkit_ps2.c(http://lxr.linux.no/linux+v3.5/drivers/input/mouse/touchkit_ps2.c) is correct. I know it is correct because EETI programmers confirmed (I send a email and they read the source code of touchkit_ps2.c). Is correct! They did not know that code existed !!! I think the problem is the chip i8042 of our PC and the ps/2 multiplexed mode. In Windows the driver works in multiplexed mode, that is why touchscreen and optical mouse work well in Windows. "MUX error, status is 35, data is fe"
PS/2 Multiplexed mode is not working. This is the log file with i8042.debug=1 parameter. I'm glad to see I'm not the only one with this problem. Similarily to Jose Luis Varela, I see MUX errors in dmesg when adding the i8042.debug=1 parameter. These MUX errors mean simply that nothing is connected to ports 0 and 3 of the MUX (or that these ports are not implemented at all) - nothing important. The devices do not return any ID when requested.